The Arabidopsis thaliana bZIP60 (AtbZIP60) transcription factor regulates stress signaling, pathogen defense, and flower development. However, molecular mechanism involved in plant salt tolerance via overexpression of transcription factor AtbZIP60 is elusive. 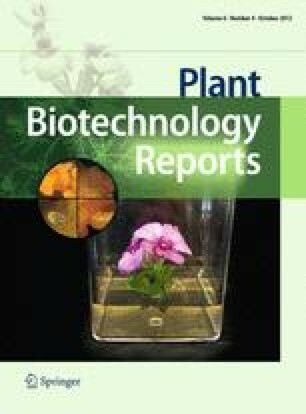 In this investigation, cell suspension cultures of four different plant species cotton (Gossypium hirsutum L.), Virginia pine (Pinus virginiana L.), white pine (Pinus strobus L.), and Arabidopsis (Arabidopsis thaliana) were transformed via Agrobacterium tumefaciens LBA4404 harboring pBI-AtZIP60. Integration of AtbZIP60 into the genome of G. hirsutum, P. virginiana, P. strobes, and A. thaliana has been confirmed by polymerase chain reaction, Southern blotting, and northern blotting analyses. Six transgenic cell lines from each of four species were used to analyze the salt tolerance conferred by the overexpression of AtbZIP60. Our results demonstrated that expression of AtbZIP60 enhanced salt tolerance of transgenic cells in all transgenic lines, and that improved salt tolerance was associated with increased activities of both H+-ATPase and acid phosphatase and decreased lipid peroxidation (thiobarbituric acid reactive substances) in transgenic cell lines from cotton (Gh1, Gh2, Gh3, Gh4, Gh5, and Gh6), Virginia pine (Pv1, Pv2, Pv3, Pv4, Pv5, and Pv6), white pine (Ps1, Ps2, Ps3, Ps4, Ps5, and Ps6), and Arabidopsis (At1, At2, At3, At4, At5, and At6). This investigation demonstrated that the expression of AtbZIP60 gene in transgenic cell lines reduced salt-induced oxidative damage by increasing the activities of both H+-ATPase and acid phosphatase, and that the overexpression of AtbZIP60 gene could be valuable for engineering plant salt tolerance. The online version of this article (doi: 10.1007/s11816-012-0226-3) contains supplementary material, which is available to authorized users. The authors are grateful to Nicki Whitley, Nicole Bloom, Tinya DelaGarza, and Ambrosia Yarn for their support in maintaining transgenic cell cultures. This work was supported by a grant from the Education Committee of Hubei Providence of China (Grant No. D20101306).